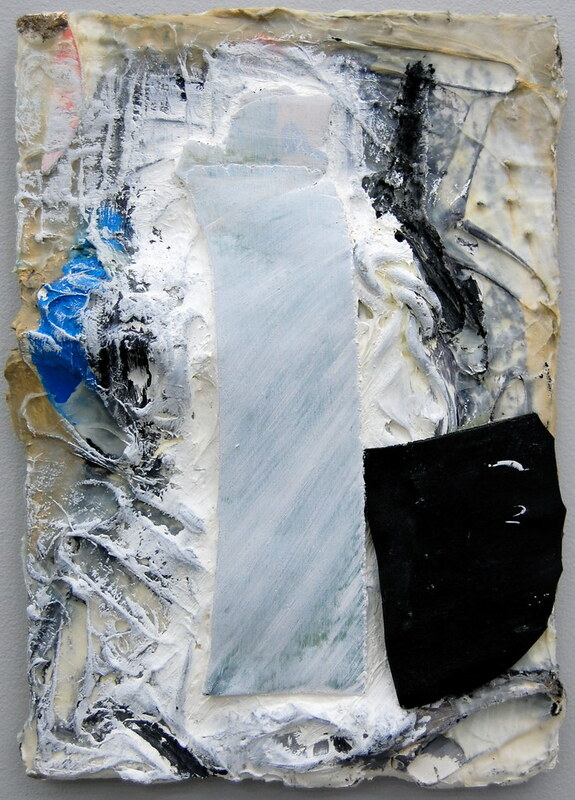 The paint in Joe Montgomery’s new works at Laurel Gitlen (Small A Projects), on the Lower East Side of Manhattan, has been applied as if it were sweet cream-cheese frosting, brushed onto a cake in thick, generous strokes. 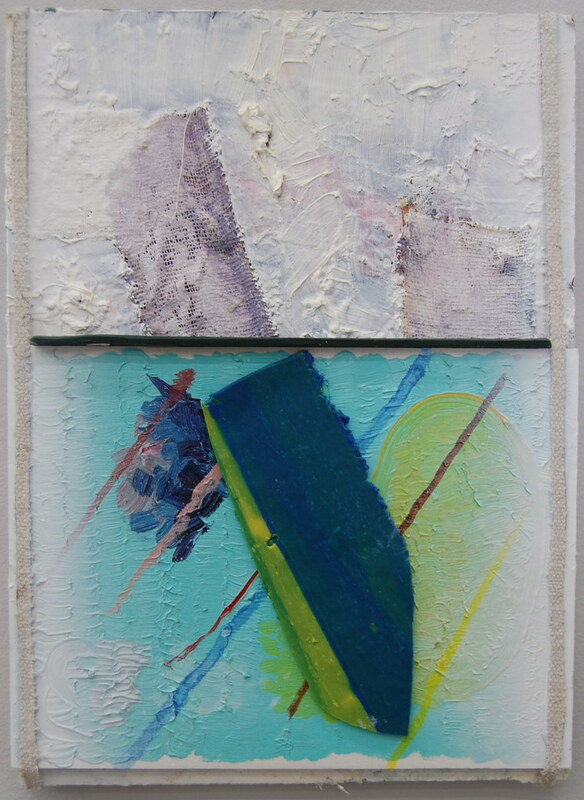 In some works (as in his Image Fifty Three) Montgomery has divided his painting into two separate parts, presenting what seem to be two different works on a single panel. In other works, he has layered one painting on top of another, building up a mass of oil (and occasionally wire, clay, wax, sponge, and aluminum) that takes on the form of sculpture. 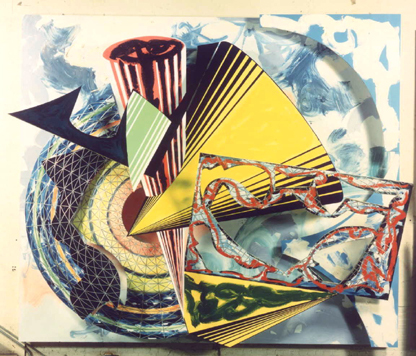 There’s a hint of Frank Stella’s turgid later works here, but Montgomery is more considered and inventive than that lapsed Minimalist. In Image Fifty Six, for example, he playfully props three pieces of cardboard (each coated with a Klein blue) on pegs so that they appear to float off the canvas. The work takes on the look of an architectural model, displaying a precision and economy far from the bombastic expressionism one typically associates with so much surfeit paint. Joseph Montgomery, Image Fifty Three, 2007-2010. 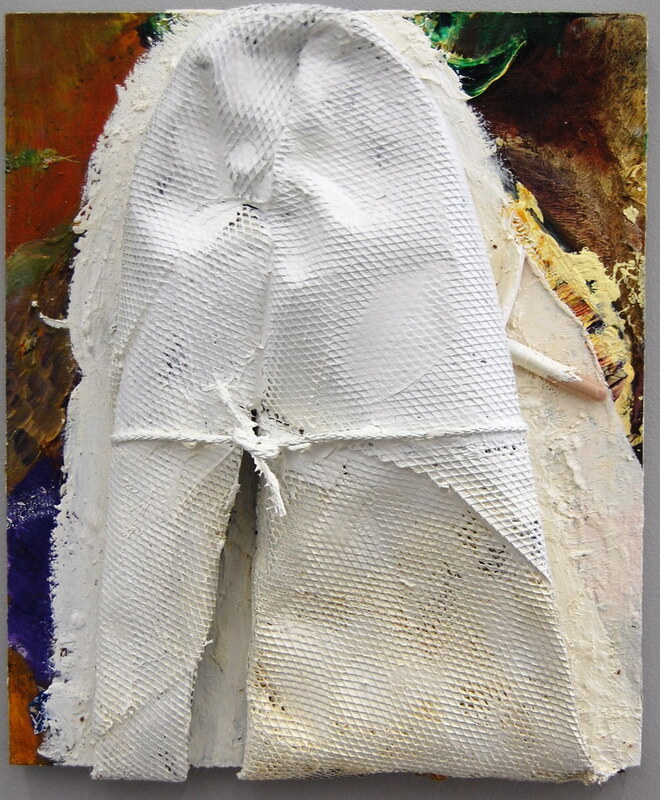 Oil, clay, and linen on panel, 11 1/4 x 7 3/4 x 1 in. Joseph Montgomery, Image Sixty, 2007-2010. 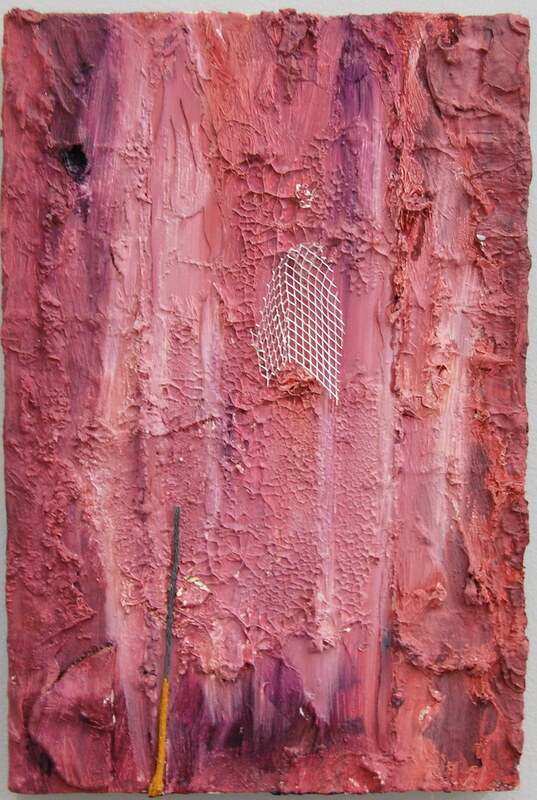 Oil, clay, wire, and aluminum mesh on panel, 12 1/4 x 10 1/4 x 2 1/2 in. Joseph Montgomery, Image Fifty Six, 2009–2010. 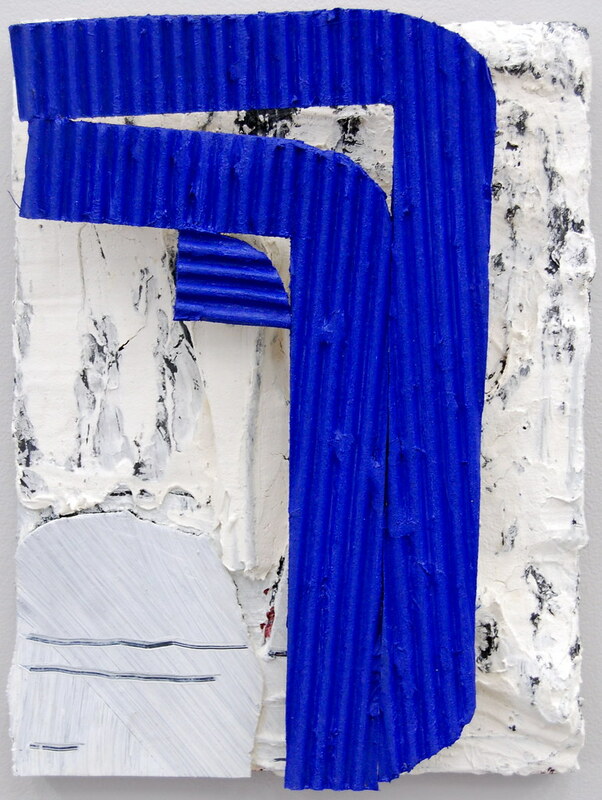 Oil, clay, and cardboard on panel, 12 1/4 x 9 1/2 x 3 in. Joseph Montgomery, Image Sixty Two, 2007-2010. 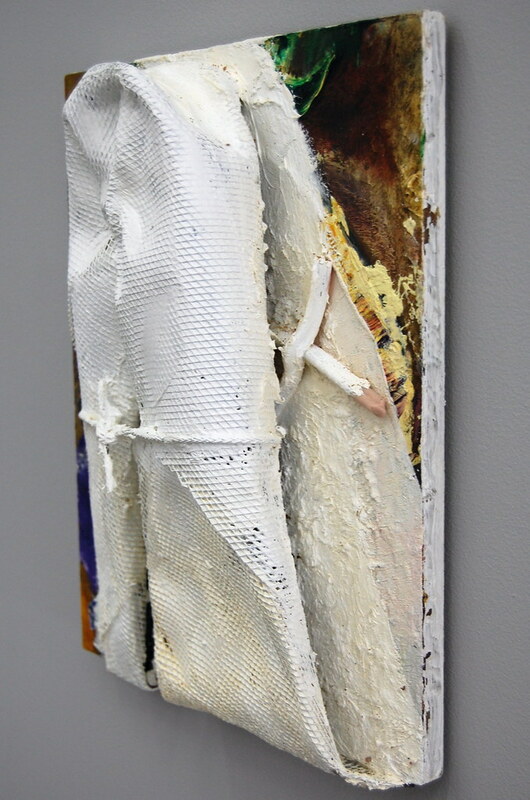 Oil, clay, wire and aluminum mesh on panel, 12 x 8 1/8 in. Joseph Montgomery, "Lie lay lain; Lay laid laid"